Taylor Electric Cooperative in Medford, WI. The NextEra and WPPI project will be approx. 50x as large. 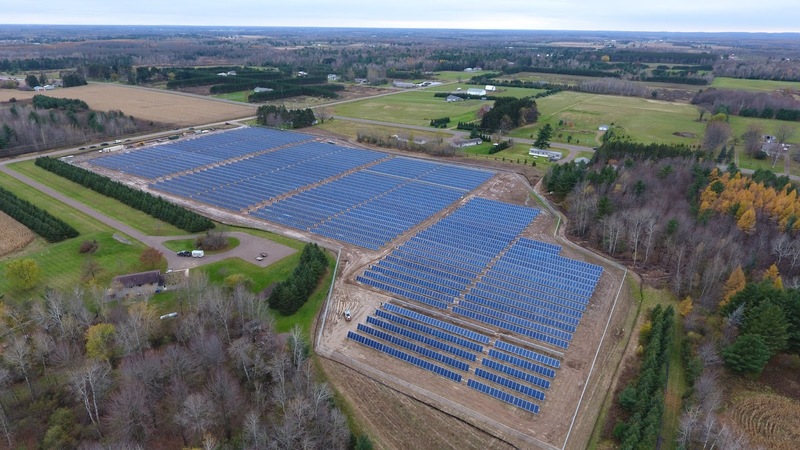 Today, an agreement was announced between NextEra Energy Resources, LLC and WPPI Energy to build a 100 megawatt solar energy project in northeast Wisconsin. The project, according to the companies, would be located on land adjacent to the existing Point Beach Nuclear Plant which operates in Two Rivers, and serve more than 23,000 people with affordable, clean energy. This project will nearly triple the amount of solar we have built in Wisconsin as of today. According to RENEW Wisconsin estimates, 55 megawatts of solar are built or in construction today, and that is up from 25 megawatts at the end of 2015. 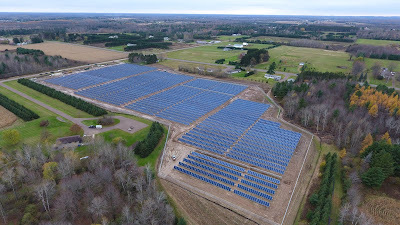 “Along with Dairyland Power Coooperative, which is building 20 MW of solar projects currently, WPPI Energy is showing that solar power is a competitive resource for electricity providers in Wisconsin,” concluded Huebner.